Jose Mourinho had a pretty much anticipated and interesting press-conference on Friday ahead of Monday’s clash with Manchester United at Old Trafford. He talked about every topic thrown at his way from many top journalists around the country. Questions about top transfer targets, his relationship with David Moyes and many others which the Portuguese boss answered with great enthusiasm he always have when approaching reporters. So, let’s take a look at 5 main things we learned from the whole Press-conference. A Great news to the ears of many Chelsea fans came from the Telegraph two days ago as they reported Willian is close to sealing a Chelsea move by favoring the West London club over rivals Tottenham, who were thought to have the deal completed after the player even had a medical. Jose confirmed the interest and says he ‘knows where the player wants to go’. Jose Mourinho reaffirmed that the Spaniard maestro won’t be leaving Stamford Bridge even though we will bring in players to reinforce the squad. “He is a player we all like and want to keep and we want more quality in the team, we don’t want less. We want to add to the quality we have so Juan is not a player we want to lose,” insisted Mourinho. This is a great news for all Chelsea fans as we hope our two time reigning Player of the Year will remain at Stamford Bridge and play a major role in Jose Mourinho’s team. Clear and simple message from Jose to clubs who are interested in buying Mata, We won’t be selling our star man. Jose Mourinho commented on what would be a decisive match on shaping up our Premier League season against Manchester United to be contested at Old Trafford. Given his belief that there are six teams in this year’s title race, he wished to put Monday’s match in context. The Special One believes the competition is huge in his second spell and there are more teams to challenge for the title unlike the last time he was in charge here when us and United were contenders year after year. Mourinho gave the latest news on David Luiz’s recovery from a hamstring problem. Jose Mourinho delivered news that Luiz won’t be available for the crunch game against Man United but, might be available for the UEFA Super Cup encounter vs Pep Gardiola’s Bayern Munich. The Brazilian defender’s injury is the only big concern out of the squad players as we need him back as big matches start to roll into the way. Let’s hope Luiz will be back in full fitness and return at the top of his game. 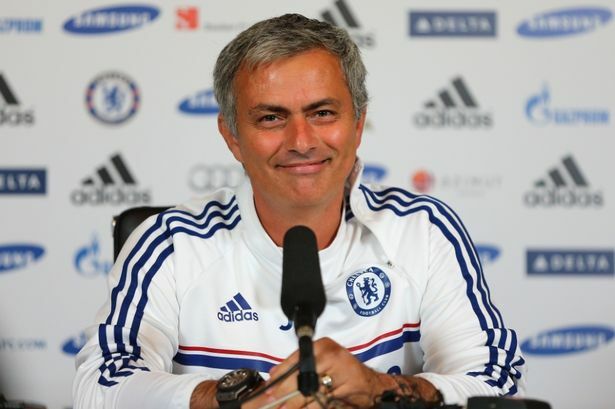 Let us know what you think about what Jose said about this main topics regarding Chelsea ahead of the Man Utd game. KTBBFH! juan mata is the best for chelsea….i think the fans also agree with me too….i should dont sell juan mata….please…..
United wanted to derail our team by requesting for Juan in exchange of Rooney because it would be a major coup if Rooney leaves and they don’t buy a worthy replacement. However, we’re not negotiating from a weak position because it’s Rooney who wants to leave. It’s therefore relieving to hear that Mata would not be considered in part deal for Rooney. I’d rather keep Mata any day, than lose him and acquire Rooney. Eto’o is an alternative to Rooney.